Most Anticipated Smartphones of This Year. While 2013 had a lot to offer in the world of Smartphones, from the iPhone 5s to the Moto X, this year has even more to bring to the table. With rumors of the iPhone 6 and several other innovative products, there is much to anticipate. Whether it will be based on rumor or fact, this year is undoubtedly going to produce some cutting-edge technology. In hopes of establishing itself substantially in the smartphone market, Sony is rumored to be releasing the Xperia Z3. It is expected to have a Qualcomm Snapdragon 805 chipset with 3GB of RAM. Earlier, Sony launched devices in Berlin at IFA 2014, so something can be expected to come out soon, possibly early Sptember. The Z smartphones are very appealing because of their extraordinary cameras and ability to resist water and dust. This is a major wow factor that makes it stand out from almost all other smartphones on the market right now. 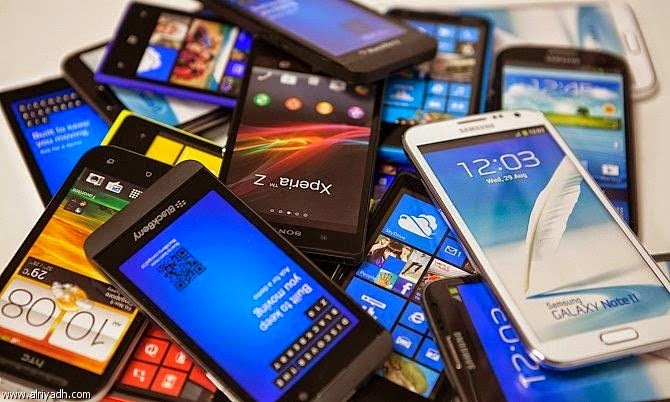 An introduction of these new smartphones to the market will also mean that the last year's models will decrease in price, so with a limited budget, check free classifieds online to find an older model for a reasonable price. Things have been rather quiet lately with Motorola after the acquisition by Lenovo. But lately there have been rumors of a Moto X+1 in production. It is said to have a 5.2 inch display and 1080 pixel resolution, which is bigger than the original which measured 4.7 inches. It will also run on a Qualcomm Snapdragon 800 processor, which may set it behind its competition (i.e. the Sony Xperia Z3 and its Snapdragon 805 processor). Also, the size may upset customers who are used to a smaller device. Not much exists to extrapolate from about the Moto X+1, but customers can expect the Moto 360 Smartwatch to hit the shelves soon. This watch, part of the Moto 360 AndroidWear line, is elegant with a round touch-screen capable of a variety of clock faces. It will also have voice command and users will be able to design their own watch having the choices of black, grey, or light blue for its color. A lot of rumors have been circulating around Samsung and their Galaxy line. This includes word of a Samsung Galaxy S5 Prime and a Galaxy F being the next big thing. They were rumored to be the second SGS5 with higher specs: metallic back and a display resolution of 2560 x 1440 pixels. Unfortunately, these models did not – and most likely will not – launch this year. It looks like the Galaxy Prime and F will remain in the rumor sphere, at least for now. Samsung did however launch the Samsung Galaxy S5 LTE-A, which has the 2560 x 1440 pixel resolution, but not the metal backing. Currently the LTE-A is an exclusively Korean device. Another Samsung device that will most likely appear this fall is the Samsung Galaxy Note 4. It is rumored to have a 2560 x 1440 pixel resolution and a display size of about 5.7 inches, testing the limits of phablets with a high-speed device. Hopefully, its interface will have a special emphasis on multi-tasking features. It will probably make its debut in Berlin at IFA 2014 in early September. In addition to the two previous smartphones, Samsung is also producing a SGS5 Mini to go along with the original model previously released. It has the same design as the SGS5, but will have a heart rate sensor, a fingerprint scanner, and an IP67 protection rating. I twill have a 1.4 GHz quad-core processor, a 4.5 inch display, 1.5 GB of RAM, and 2100 mAH of battery. One smartphone that be particularly good for your wallet, among other things, is the Tesco Hudl Smartphone. It will be “aggressively priced” yet still comparable to phones at the higher end of the spectrum and run on Android, taking its place among other Android phones on the market. It has specs that are great and a price that’s even better. It could end up being the dark horse of 2014. Possibly the most anticipated device to come out this year is the one with the least factual grounding: the iPhone 6. Several different conceptual designs have been circulating around the Internet, from a curved back to a wrap-around touch-screen, and even a see-through screen. It is the most popular, yet elusive device being talked about. This model will also be launched with iOS 8. This version contains more functions for Siri, enhanced widgets and notifications, and third-party keyboard capabilities. It will also have a camera with the capability of capturing layered images that can be refocused later. If this phone is indeed in the works, expect to hear about it sometime this coming fall, but it might be a while before anything substantial appears. While some of these phones are only rumored to be in the making, this year will be sure to produce some amazing technology.